Check out Tobi's Cinderella Story Cropped Cutoff Jeans Blue jean dreamin' in the Blank NYC's Cinderella Story Medium Wash Cropped Cutoff Jeans. 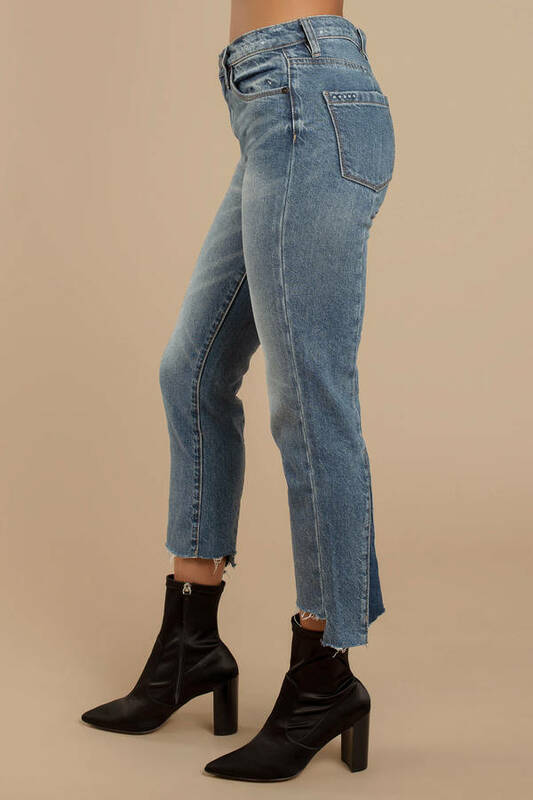 These frayed hem jeans feature a high waisted construction, step hem, and two-tone wash in the back. 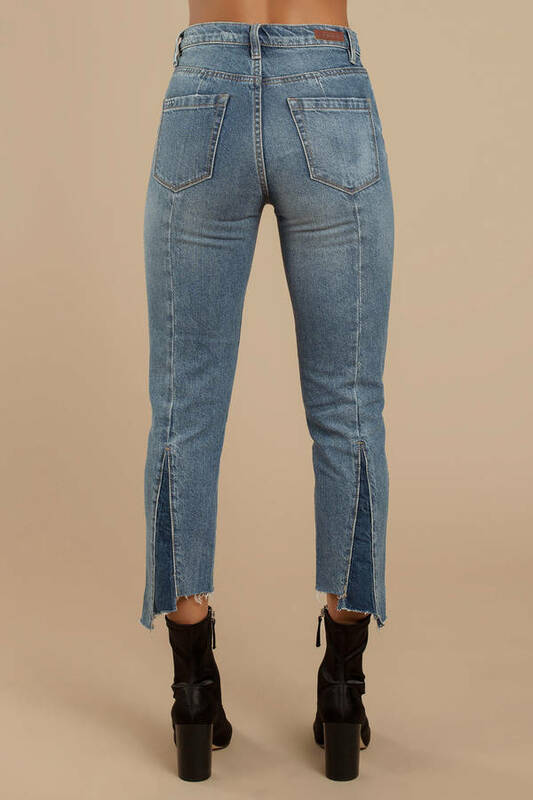 These trendy jeans will look killer with a band tee and pointed boots. Blue jean dreamin' in the Blank NYC's Cinderella Story Medium Wash Cropped Cutoff Jeans. 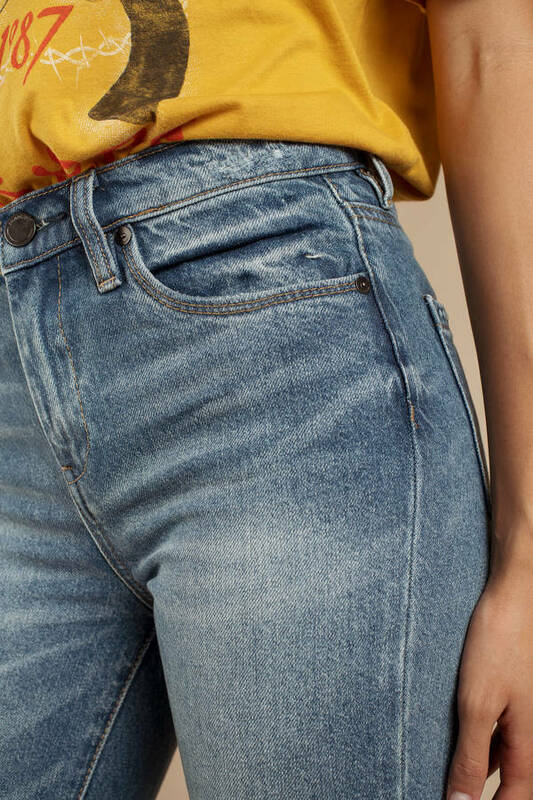 These frayed hem jeans feature a high waisted construction, step hem, and two-tone wash in the back. 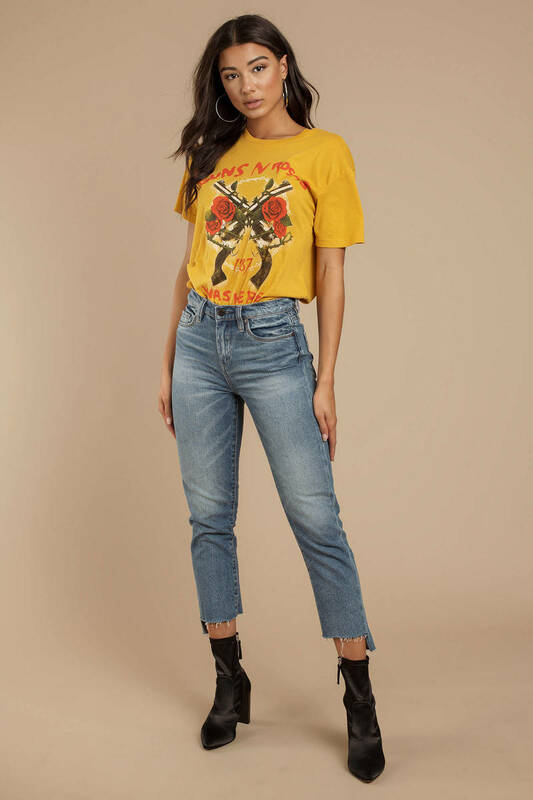 These trendy jeans will look killer with a band tee and pointed boots.